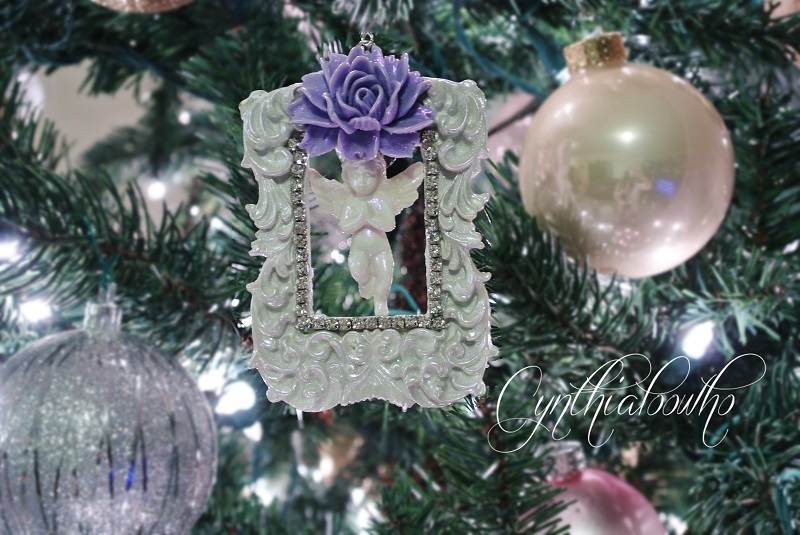 Day 8 of 10 Days of Christmas Ornaments with Cynthialoowho 2014! I went with a purple theme for today’s ornament. I used a Michael’s dollar frame and Lindy’s Stamp Gang 2 toned embossing powders in Angel Wings Mauve and Silver Moon Orchid on the frame, rose, and Angel. 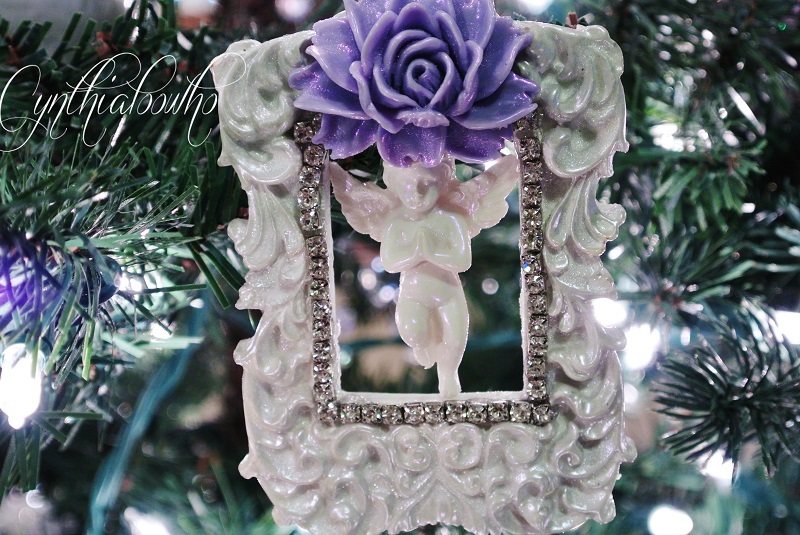 I purchased the Prima resin Angel from Blue Moon Scrapbooking in a set. Once I heat embossed the frame, Angel, and rose I added some rhinestone chain to the inner frame and glued the Angel to the frame using a piece of 20 gauge wire with a loop on each end. I covered the wire loops with a flat acrylic piece of bling. This was fun and easy and not your typical ornament. You could add a photo to your frame or anything you’d like. To see a video tutorial scroll down. Thanks so much for stopping by and please share with your friends! 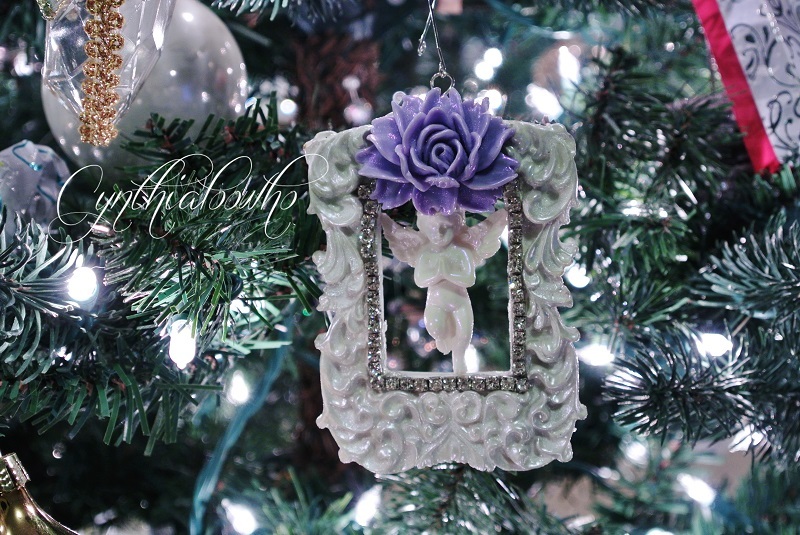 Previous Day 7 of 10 Days of Christmas Ornaments with Cynthialoowho 2014! 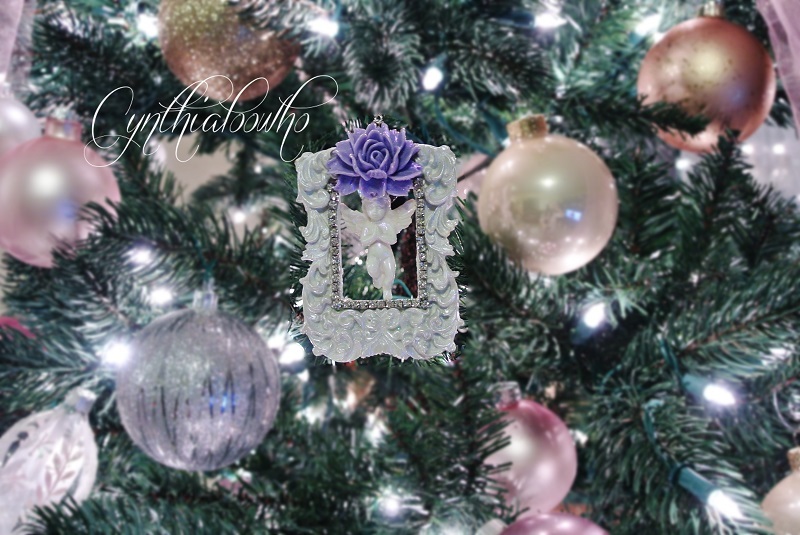 Next Day 9 of 10 Days of Christmas Ornaments with Cynthialoowho 2014!